While gold grabs the headlines with its struggle at the $1,300 level, silver, sometimes disparagingly referred to as “the poor man’s gold,” has experienced its own ongoing dalliance with the all-important $15 level. I would contend that silver deserves much better than to stand in gold’s shadow, and furthermore, a compelling case could be made on silver’s behalf as the ideal vehicle in an upcoming commodities bull cycle. Maria Smirnova, senior portfolio manager at Toronto-based Sprott Asset Management, seems to concur with this sentiment, as she has recently declared that “It is difficult to be pessimistic about silver at these levels.” In particular, “these levels” indicate that silver against the U.S. dollar is down approximately 4% in 2019 thus far, after last year’s loss of more than 9%. While I agree with Smirnova’s bullish outlook, I don’t necessarily share her view that silver’s next bull run will depend on gold’s movement, or that retail investor demand should be the primary impetus (though I don’t doubt that it will be a factor). According to the World Silver Survey, global investment in silver bars and coins increased by 20% last year, with bar demand alone up 53%, confirming Smirnova’s bullish take on investment demand. Global physical silver investment in 2018 was driven primarily by bar demand, which increased 53% last year; in India alone, the demand for silver bars jumped 115%. The gold-to-silver ratio, which tells us how many ounces of silver it would take to purchase one ounce of gold, tends to mean-revert to 50 sooner or later. When the ratio goes above 80, this means that gold is much more expensive than silver; currently it’s above 85. The gold-to-silver ratio has only reached this extreme level 4 times since 1971, when the U.S. government took the dollar off of the gold standard. In other words, compared to other commodities, silver is 66% cheaper than it was 37 years ago. 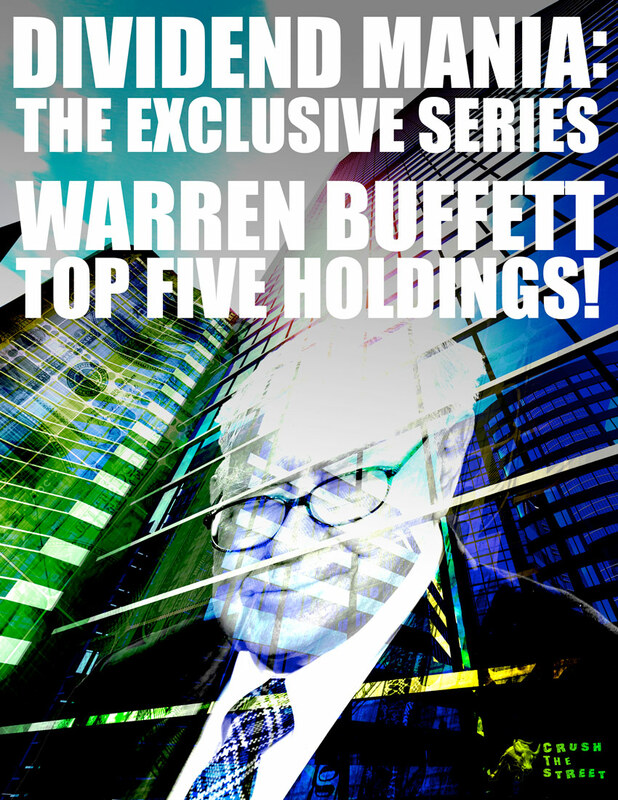 Nothing else even comes close to silver if you’re looking for a bargain in tangible assets. Just getting the ratio back to the 40-to-1 range would put silver at around $35 – more than double its current trading value against the dollar. Speaking of the dollar, if fiat currencies weaken, then that would provide a tailwind to both gold and silver; however, since silver tends to move faster than gold, I would expect silver to benefit more from the dollar’s deterioration in terms of price movement. 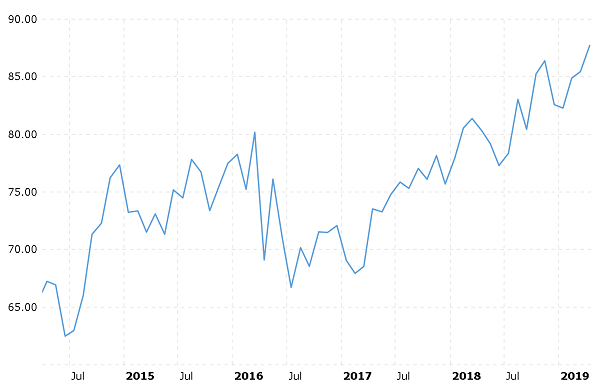 There’s also the factor that the government and the mainstream press would rather not mention: the ongoing slowdown in the global economy. Central banks around the world have been hoarding physical precious metals in anticipation of economic turbulence, which would likely add value to both gold and silver. One driver of silver prices that’s rarely mentioned by investors is jewelry demand in India, where precious metals are not only for trading but comprise an integral part of the culture. In India, relatively high gold prices (remember, they’re not valuing gold against the U.S. dollar over there) has spurred many consumers and investors to switch to cheaper silver. 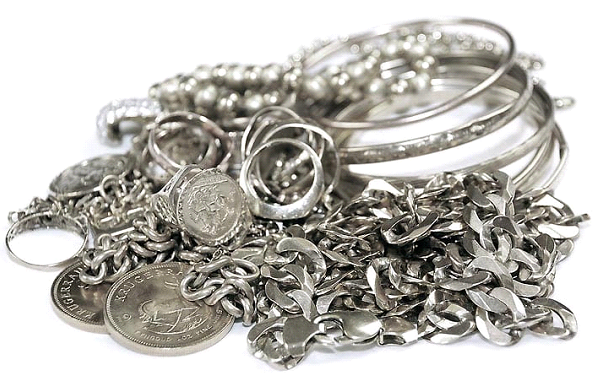 Notably, India’s consumption of silver jewelry saw a substantial increase of 16 percent to 76.5 million ounces in 2018; along with a rise in the United States, this helped to push up global silver jewelry demand by 4 percent to 212.5 million ounces. 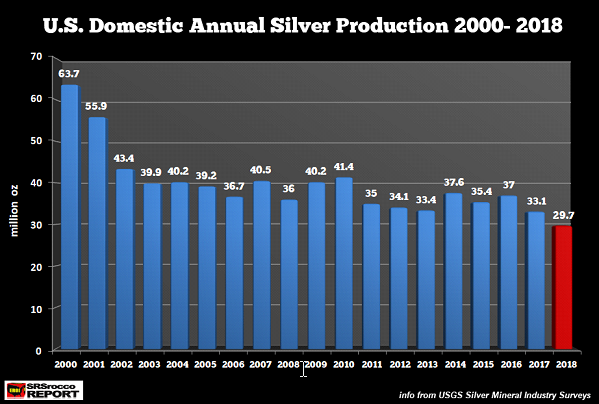 Turning to the supply side of the equation, the World Silver Survey also revealed a third consecutive annual decline in global production of the silver, which fell 2% in 2018 to 855.7 million ounces. Moreover, in 2018 the above-ground silver supply totaled more than 2.5 billion ounces, which was a 3% decline from the previous year. Nevertheless, Koos asserted that he’d want to see the price of silver break above $16 before risking any “serious capital.” My reaction to that is to be more proactive: if silver above $16 is a good buy, wouldn’t silver at $15 be an even better buy? But then, I tend to view things differently than most people: I don’t wait for higher prices to buy things that I believe in. Besides, I don’t see the $16 level as being more special than the $15 level; if anything, $15 seems to be the number with greater psychological significance. If you don’t want to bother with storing physical silver and/or you’d like to get some leverage when silver increases in price, you might consider accumulating shares of silver mining stocks, which can easily be purchased with whatever stock market trading app or broker you’re using. 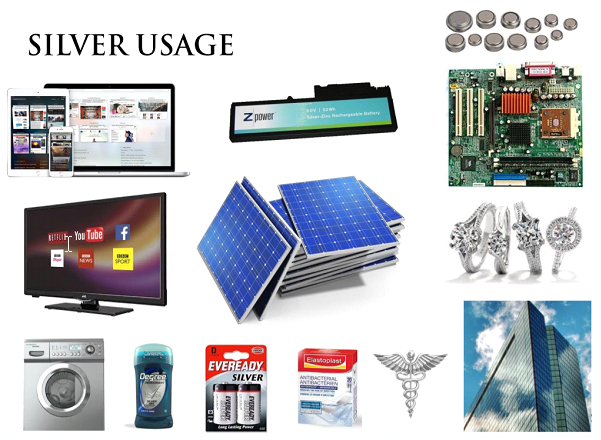 The one that I like a lot is First Majestic Silver Corp. (NYSE:AG, TSX:FR), which has Mister Silver himself, Keith Neumeyer, as its President and CEO. Unlike other mining companies that tend to treat silver like a second-class citizen, First Majestic is a pure play in silver with 66% of the company’s revenues derived from silver mining. 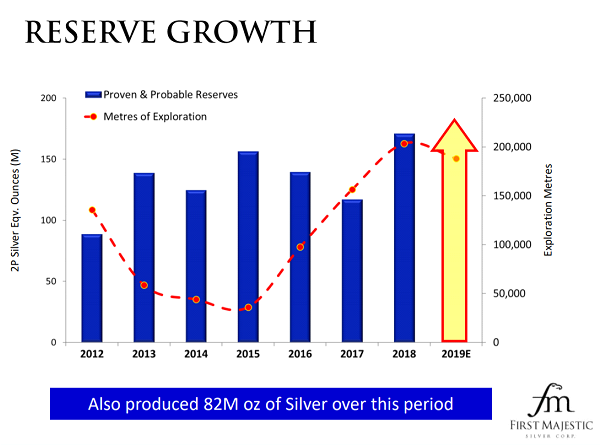 While other miners are having trouble meeting the global demand for silver, First Majestic is on track to becoming the world’s biggest silver producer with six producing silver mines in Mexico, the world’s largest silver-producing country; 5,000 direct employees; and strong insider ownership of AG stock shares. However you might choose to play silver’s powerful upside potential, I encourage you to think outside of the gold box and don’t buy into the “silver = poor man’s gold” narrative: after all, silver holders will be anything but poor when the price catches up to the real value of this essential metal.